I have a Mac device and I use it for pretty much everything. I use it for work and I also use it for recreational purposes. Recently, I have noticed that my Mac is overheating. Sometimes I touch my device and it literally feels like I'm in hell. Also, my device shuts down by itself all the time. What can I do about this overheating issue? Is your Mac device heating up too much that it's too hot to touch it? Or is the fan too noisy that you feel like it's overworked? Well, if you're experiencing these you're actually noticing the results of your Mac device’ overheating. This problem is common among a lot of Mac users. Overheating is not just limited to these two signs. Usually, a Mac that overheats will crash or shut down by itself. This issue is not a light one and you wouldn't I want to ignore it. Overheating can actually slow down the performance of your Mac and it can damage your device’ internal components over time. You have to remember though that it is actually normal for Mac devices (or any other device) to heat up when it is working heavily and using up many resources. However, crashing and shutting down because of heat is not a normal scenario. Consistent overheating of your Mac device during times of regular use is probably a sign that you have an issue at hand. In this guide, we’re going to teach you tweaks to help you with overheating. We will go with the easiest solutions first. You have to use your Mac device and place them on flat surfaces. This allows your device to dissipate heat easily. Aside from that, you have to ensure that vents are not covered. If you want to use your device on your lap or the bed, minimize the way vents are blocked. Your device might be suffocating because the vents are blocked. Next, avoid using your Mac under the sun. Direct sunlight is very hot and of course, it will lead to overheating. Finally, you have to clean up dust from your Mac device. You can use a vacuum cleaner to remove dust built up on your Mac. This dust prevents your Mac from keeping itself cool. If you think you are not using your Mac device to perform a heavy task and it still heats up, you have to check out the top right corner of your desktop and look at the magnifying glass icon. If a pulsating dot appears within the magnifying glass it actually shows that Spotlight Indexing of data is happening. This process is actually automatic and takes a few hours to finish. It also uses up A LOT of Mac’s resources. What you can do is to plug your device to the power. Then, place it on a flat surface where vents are not blocked. After which, try to do other things while indexing occurs. Just get back to your device once indexing is finished. Is the fan making a strange noise? Well, there could actually be a physical issue with the fan and this could lead to the device’ overheating. Step 1 - Connect your device to the power cable. After which, shut your Mac down. Step 2 - Press down the Power button while holding the D key down. Do this before the actual startup screen appears. Step 3 - Follow the specific instructions that will appear on the screen. If you are utilizing an older Mac device, you should select the Basic Test. This diagnosis process will check out the issues you might have with your fans. If your Mac is constantly overheating, try to use Activity Monitor all the time. You can find it in Applications > Utilities. The Activity Monitor allows you to check out which processes are responsible for overheating. You just have to click the CPU column to allow you to sort processes from the most active to the least active. If you see an application that is not working on a heavy, important task (as of the moment) but uses nearly 90% of the CPU, then it might be a non-responsive app that is eating up too much of your device’ resources. You simply have to close these applications. However, if these apps continuously cause you problems, you have to remove them completely. How do you do this? 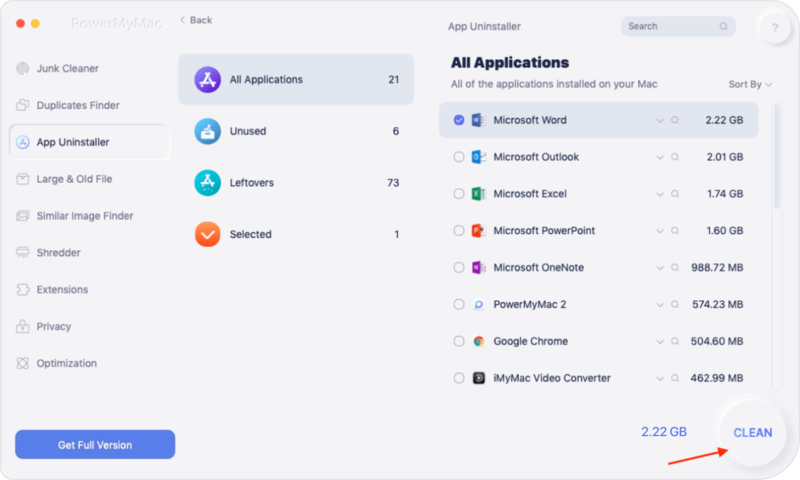 You need to use a tool called iMyMac’s Mac Uninstaller to completely wipe out the app. Step 1 - Download iMyMac-Cleaner and install it. Then launch it on your device. Step 2 - Choose the module Mac Uninstaller on the left-hand side of the interface. Step 3 - Click Scan. Wait for the program to scan the entire device. Step 4 - The results will show a list of applications on your device. Select the application you want to remove. Step 5 - Click Clean and confirm the operation. Guides will tell you to use third-party fan control apps. This tool enables your fans to run fast. This can actually help address Mac’s temperature heating up for the short-run. However, it fails to address the actual issue that causes the overheating of your Mac device. It’s also pushing your fans to exert more effort which leads to its wear and tear. Plus, using a third-party tool to control your Mac’s physical properties can void its warranty. When you discover that a hardware issue is present, you would probably shell a lot of money cause your warranty is already void. Your Mac can overheat because of a lot of issues. You can actually fix these by taking practical measures, monitoring spotlight indexing, checking your Mac’s fans, not using fan control applications, and closing runaway apps. Aside from these, you can also remove unwanted applications that might be hogging too much of your resources. For this, you can use iMyMac’s Mac Uninstaller. This tool will help you wipe out unwanted applications without causing issues on your device.